Misses unlined vest and lined coat, jacket has tie belt and two bell sleeve styles to select from. Make a statement this season. 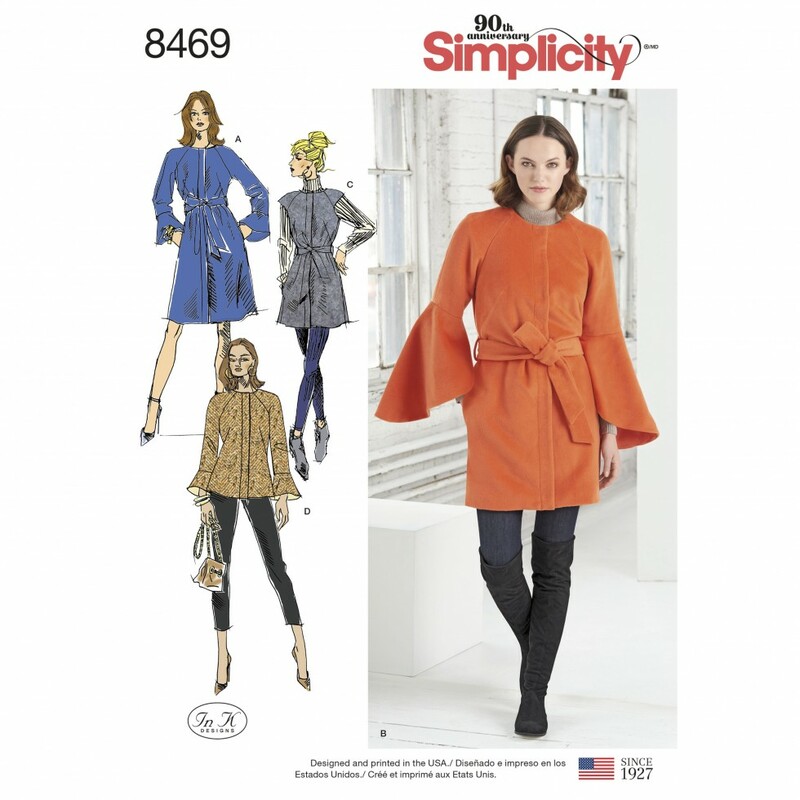 Ink K for Simplicity sewing pattern.